He starred in an HSBC commercial, dancing with famously costumed rugby fans on the pitch promoting the 2014 Hong Kong Sevens. 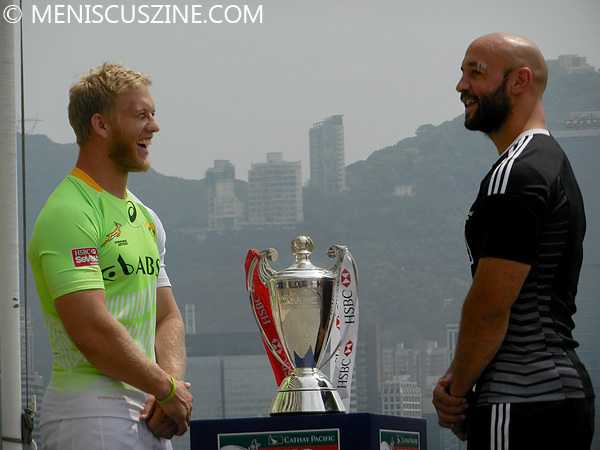 He feigned a staring showdown with South Africa’s Kyle Brown over the championship trophy, barely able to contain his laughter. 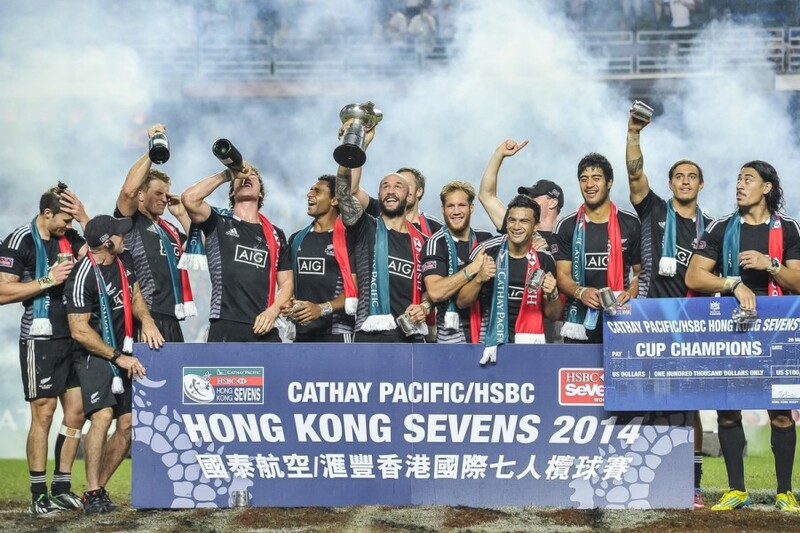 Now team captain DJ Forbes – and the rest of the New Zealand squad – has plenty to dance and smile about, having captured both the Hong Kong Sevens title and the hardware following a 26-7 victory over England in the final. “When the rain came, it changed our roles and fell into our hands,” Forbes said after the match in comments posted on the IRB Sevens World Series website. It was a fitting conclusion considering that the tournament began with a Cantonese opera warrior dance. The win was New Zealand’s third in the Series – Fiji and South Africa have two titles each this season – and catapulted the All Blacks to the top of the HSBC Sevens World Series standings. The final two tournaments of the season take place in Glasgow, Scotland, from May 3-4 and London from May 10-11.